Lutheran services have developed over the centuries in many different cultures and countries, so there are variations in expressions and styles of worship, which are reflected in Lutheran worship in Britain. Generally, Lutheran services are in the ‘catholic’ tradition, following ancient liturgies and observing historic usage. Some congregations, however, offer a simpler style of worship. Crucifixes, candles and religious art are common. In many churches the priests or pastors (Lutherans use both terms) wear traditional vestments, such as albs, stoles and chasubles. In other churches a black robe and ruff or bands are worn, often with a pectoral cross. Church buildings can be very ornate or rather simple, but always with the altar, pulpit and font as the main features. Differences in worship style or dress do not imply differences in theology or belief for Lutherans; often they have arisen for reasons of history or culture. 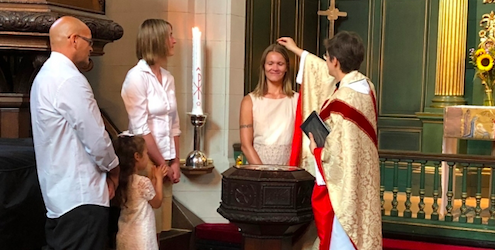 In common with many other churches, Lutheran congregations in Britain have been influenced in recent decades by liturgical and spiritual renewal movements in their home churches. Generally, the laity are more involved in leading worship, which had been led only by the pastor. The language of services has been updated and musical settings and hymns offer many more styles and possibilities. There has also been a renewed interest in some older practices that had been largely ignored, such as private confession, prayer candles, particular liturgies, including prayers for healing, and pilgrimages. Martin Luther extolled music as a ‘precious gift of God’, and said that music had been bestowed on humanity ‘to remind them that they are created to praise and magnify the Lord’. Certainly from Luther’s time onwards, music has always been an important part of Lutheran worship. The liturgies are often sung by the clergy and the congregation – it can happen that the sermon is virtually the only part of the service that is not sung. Hymns and instrumental music are common. Many traditional Lutheran hymns are unfamiliar to most Christians in Britain, while others have entered the mainstream of British hymnody. Some of the older hymns are long and didactic, as they aimed at both beautifying the worship and instructing the congregation. The musical aspect of Lutheran spirituality has given rise to much church music within Lutheranism. There have been many great Lutheran composers who wrote prolifically for their churches, such as Bach and Mendelssohn, who still feature strongly in much Lutheran worship. 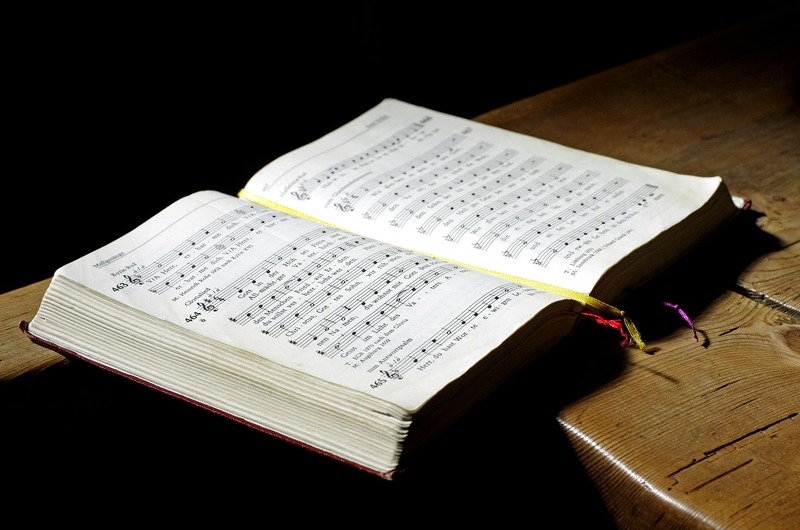 Music remains a vital part of Lutheran worship today. Because the Lutheran Church has been international from its very inception, no one tradition of music dominates, although the older German hymns (many composed by Martin Luther himself) are still often sung and enjoyed in Lutheran worship in many countries. New hymns and liturgical settings are being written in idioms as different as traditional African music, jazz and modern plainchant, reflecting the diverse nature of the worldwide church. The word ‘evangelical’ is often part of the official name of particular Lutheran churches throughout the world – such as the Evangelical Lutheran Church of Finland, the Evangelical Lutheran Church of Hanover, the Evangelical Lutheran Church in Tanzania, the Evangelical Lutheran Church in America, and there are many more examples. The proclamation of the Word of God is fundamental to Lutheran worship and church life. The word ‘evangelical’ means ‘proclaiming the Gospel’. Lutherans call themselves evangelical because the good news of God’s gift of love and acceptance through Christ is at the centre of their proclamation. For Lutherans the word ‘evangelical’ does not imply a particular worship style or piety or organisational structure or a literalistic interpretation of scripture, but stresses that mercy, forgiveness and love are at the heart of all Christian proclamation. All Lutherans would call themselves ‘evangelical’ in this sense, and it sometimes surprises other Christians to discover that these ‘evangelicals’ might wear ornate vestments, make the sign of the cross and refer to Holy Communion as the Mass. ‘Evangelical’ proclamation happens in all aspects of Lutheran worship – hymns, liturgy, readings and the sermon. The sacraments are also evangelical proclamation because they visibly express God’s love and convey his grace. Lutherans hold, as did Martin Luther, that there are two sacraments: Holy Baptism and Holy Communion. Lutherans administer baptism to infants and adults, believing that through it God unites us with Christ in his death and resurrection, makes us members of his one Church and gives us new life in his Spirit. These benefits are God’s work in us, his gifts, and do not depend upon our efforts or attitude. Lutherans celebrate Holy Communion regularly, believing that the true body and blood of Christ are really present, distributed and received under the forms of bread and wine, for the forgiveness of sins and spiritual nourishment. In the sacrament, the full Christ is present, in both his human and divine natures. Traditionally, the communicants receive the wine from a shared chalice, though individual cups have been used in some places. The bread is usually a wafer put into the hand or placed onto the communicant’s tongue. In some Lutheran Churches intinction (bread dipped in wine) is gaining favour.